Get a natural balance of fiber with Triple Fiber. 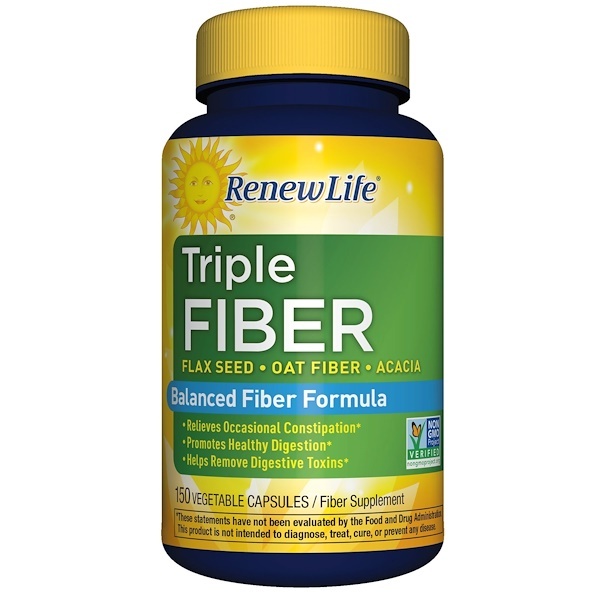 Made from organic flax, oat fiber, and acacia fiber, this high-fiber supplement promotes regularity and digestive health, and helps eliminate toxins from the digestive tract. 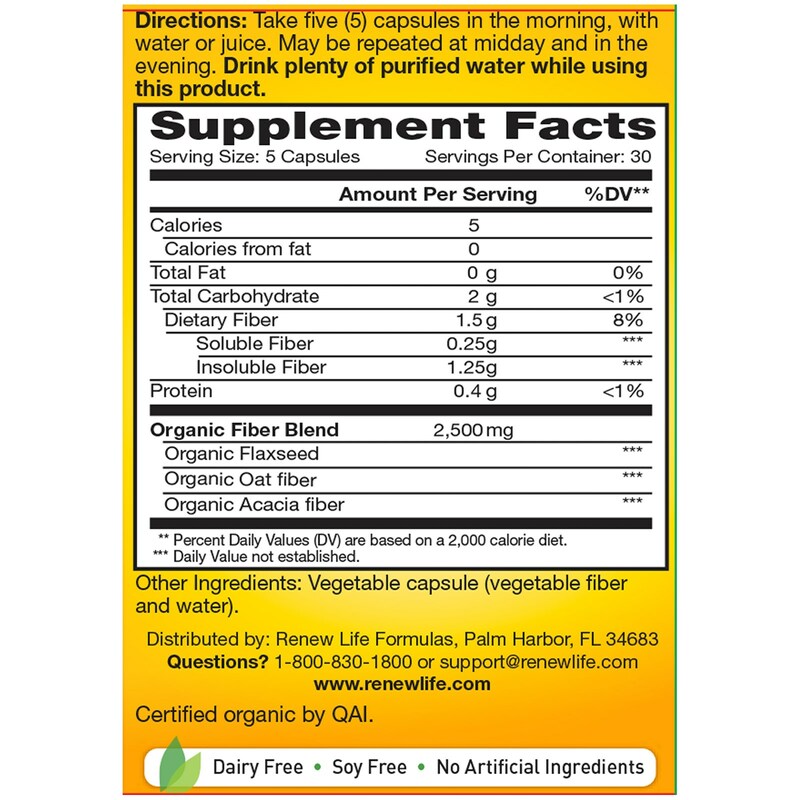 Take five (5) capsules in the morning, with water or juice. May be repeated at midday and in the evening. Drink plenty of purified water while using this product. Vegetable capsule (vegetable fiber and water). Consult your healthcare professional before using this or any product if you are pregnant, nursing, trying to conceive, taking medication, or have a medical condition. Notice: Using this supplement without at least a full glass of liquid may cause choking. Do not use this supplement if you have difficulty swallowing, acute cough, or obstructed bowel. Store at 86°F (30°C) or below. Quality, purity, and potency guaranteed through expiration. Tamper Evident: Do not use if safety seal is broken or missing. *** Daily Value not established.